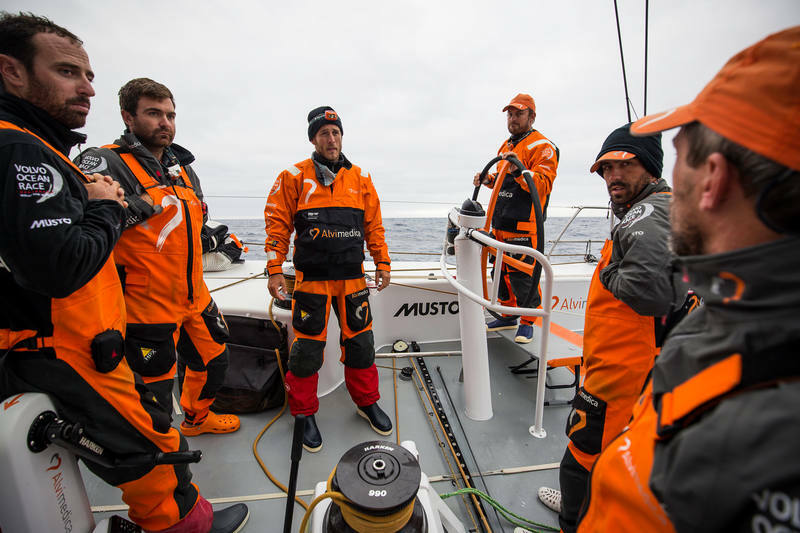 It’s been 19 days and well over 3,500 nautical miles (nm) since the Volvo Ocean Race fleet set sail for Cape Town from Alicante, but the three leading boats are still within sight of each other with the fourth chasing them down just 18nm adrift. 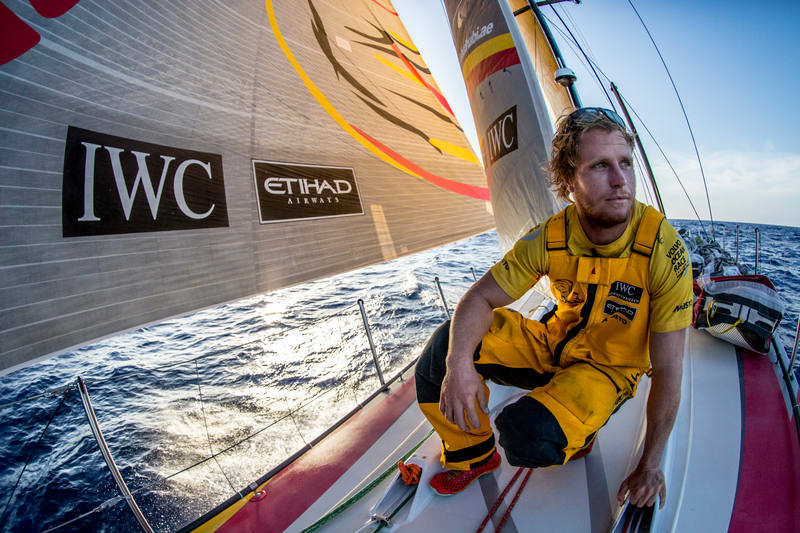 No wonder the race is regarded as offshore sailing’s toughest professional test. 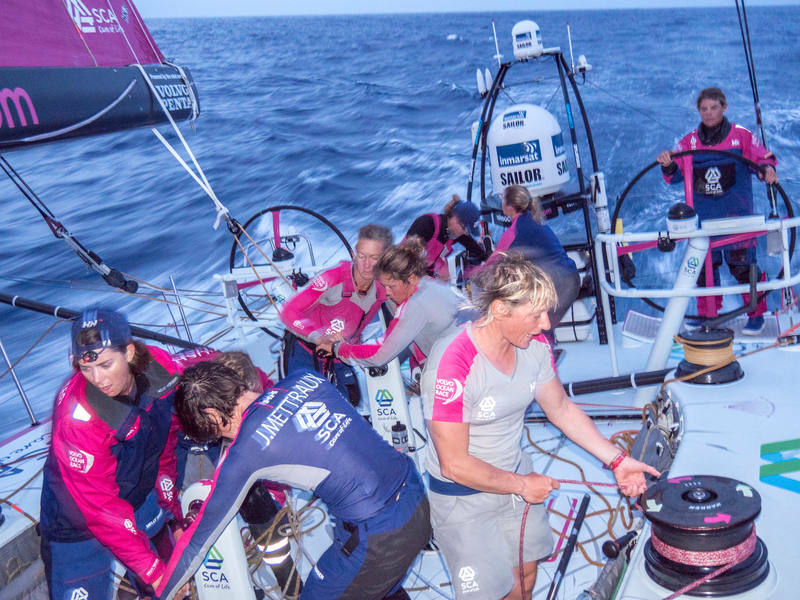 Such a close packing of the crews so long into the opening leg is unheard of in the 41-year history of the event with the sprint to be the first to sight Cape Town’s Table Mountain, one of the Seven Wonders of the World, still anyone’s to win. 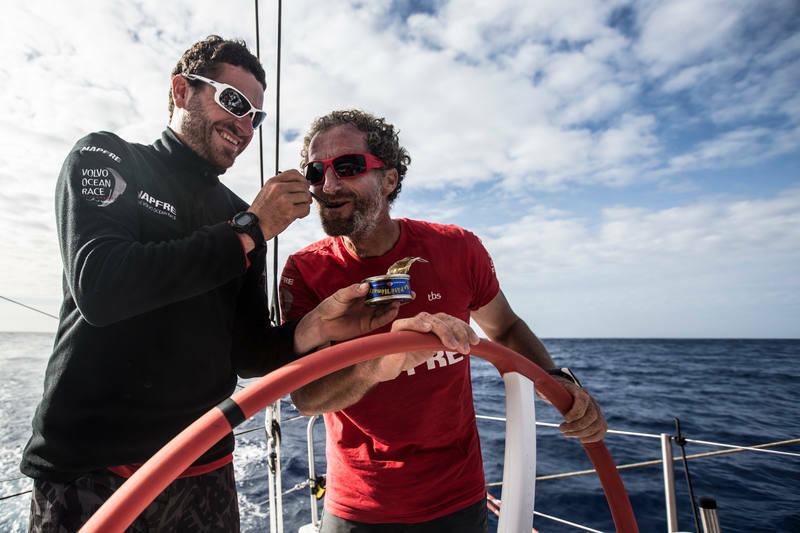 China’s Dongfeng Race Team (Charles Caudrelier/FRA) are by no means out of it either in fourth place on the tracker, nor even Team Alvimedica (Charlie Enright/USA) in fifth. To add to the other factors to contend with, there’s a possibility of food shortages in the fleet with the estimated time of arrival to Cape Town now pushed a couple of days back to November 6 and an ice gate to skirt in the Southern Ocean to keep the fleet clear of growlers (bergy bits). 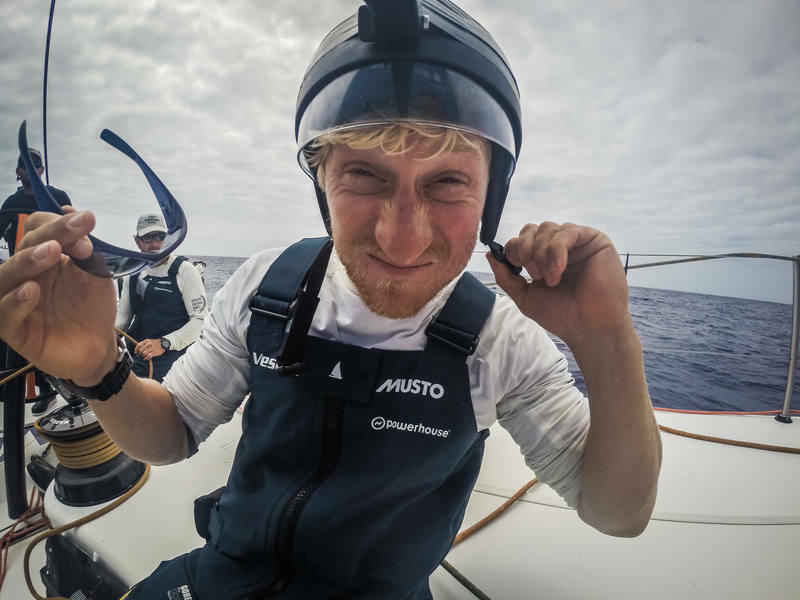 Abu Dhabi Ocean Racing’s onboard reporter Matt Knighton (USA) explained, however, that the leading crews have learned to accept the close-quarter racing at the head of the fleet, a result of the new one-design Volvo Ocean 65. 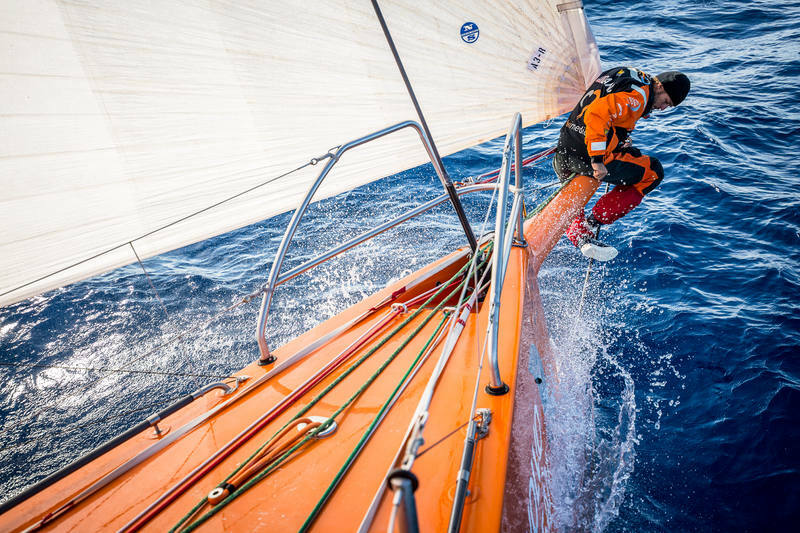 This is inshore-style racing played out hundreds of miles from the coast. 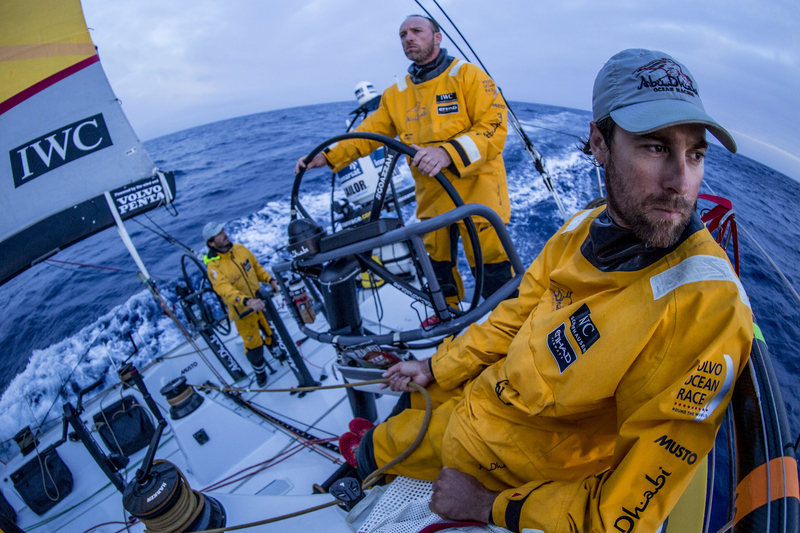 “One might think that after 19 days of racing and being a long way from land we’re surprised to see another boat so close. To be honest, we’re not,” Knighton said. “The shock of how close this one-design racing is has worn off. 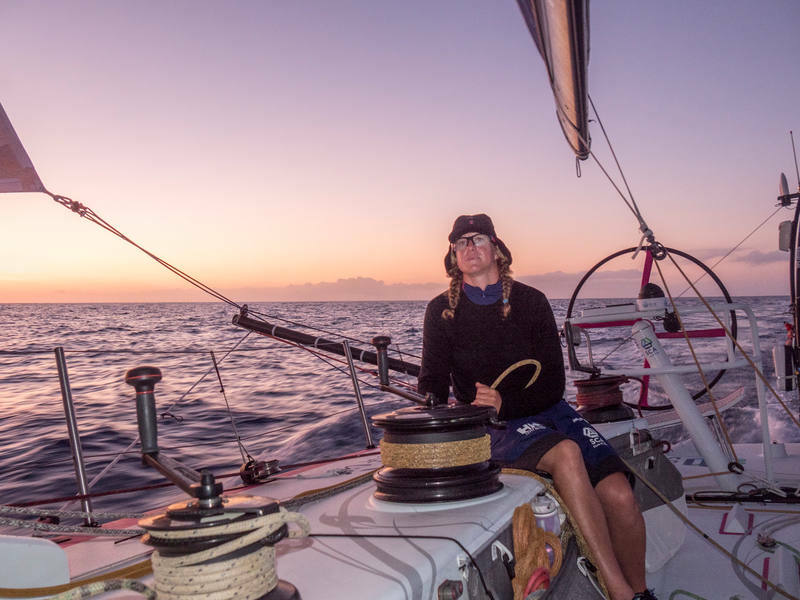 After the earlier battle down the African coast, it’s not surprising to see one or even two sails keeping pace with you for a very, very long time,” he added. 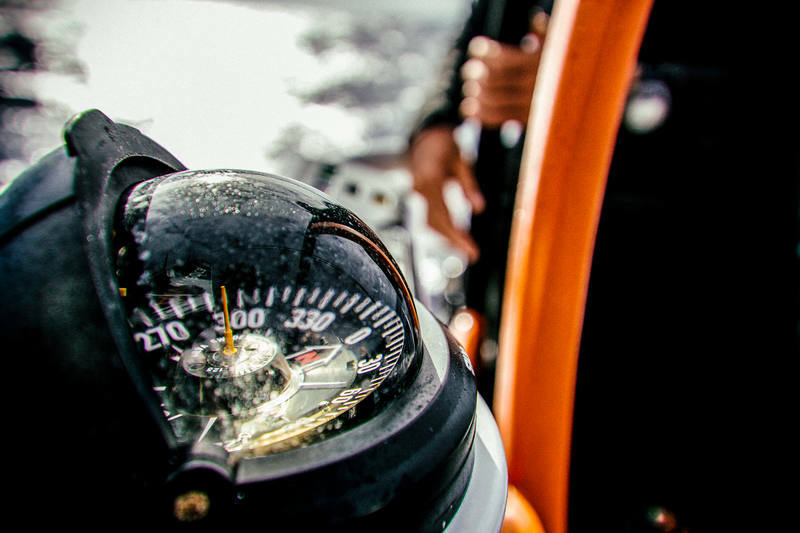 Ahead still lie the Roaring 40s, four or five-metre waves, steady 25-knot winds and the likely drag race towards South Africa next week. Cape Town’s magnificent port and setting will never be a more welcome sight for these 66 sailors.